Can someone master Brazilian Jiu-Jitsu? Is there an end to the Brazilian Jiu-Jitsu journey? The Gracie Barra Black Belt Program is the last stage in GB’s adult program structure. While it does represent the student’s arrival at the ultimate level of training in our school, it also represents a new beginning. The goal of this program is to further develop the student’s BJJ game flow by exposing him or her to cutting edge Jiu-Jitsu techniques and their variations. The program’s dynamic curriculum and classes, followed by hour-long live training sessions, build a challenging yet safe environment for students to progress from their blue to black belts. It is in the Black Belt Program that most students truly grasp what they’ve been told since being white belts: Jiu-Jitsu is an endless journey of daily accomplishments that always leads to a new challenge. The same old arm-bars, triangle chokes, fireman carries, Kimuras, sweeps, guard passes and single leg take downs gain new meaning as their BJJ game flow is defined. 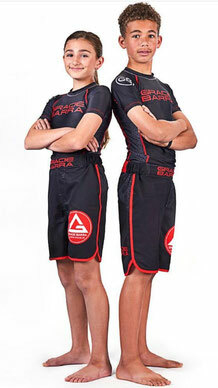 Gracie Barra students enrolled in the Black Belt Program are role models at our schools. The responsibility of sharing GB techniques and training philosophy with newer students is taken seriously. They play a key role in maintaining a safe, friendly and progress-oriented environment at our school. ¡Prueba una clase sin compromiso!